Hundreds of billions of healthcare dollars are spent on unnecessary or overused tests, services, or medical procedures — as much as $765 billion a year, according to the National Academy of Medicine. One group analyzing spending in Washington state found that more than 600,000 patients had unnecessary treatments, and around 85 percent of lab tests performed on low-risk patients for routine surgeries were unnecessary. Wasteful medical procedures are bad for patients and bad for business. The problem? A single patient is often receiving treatment from several providers, which makes organizing an efficient treatment schedule difficult. Patients end up with duplicate or unnecessary orders that cost everyone time and money. Handling administrative tasks manually is a huge resource drain for healthcare organizations. Scheduling, processing registration, and manually inputting orders takes a lot of time. In fact, 51 percent of a nurse’s workload is taken up by tasks that are not directly related to patient care. For doctors, that number is lower (16 percent) but still significant. Automating healthcare workflow is key to reducing the wasted hours, but any such automation must be able to integrate into the patient workflow without disruption. Automation can reduce the time spent manually entering information while increasing accuracy and eliminating redundant orders. CHRISTUS Health is one organization that had a cumbersome manual system that administrators decided to upgrade and automate by bringing in Experian Health. Before the automation, a CHRISTUS staffer would download accounts from its system in an Excel spreadsheet form three times a day, which sucked up three hours of employee time every day. In addition to the time drain, this method was susceptible to human error and technological failure, both of which extended the hours spent on this tedious task. 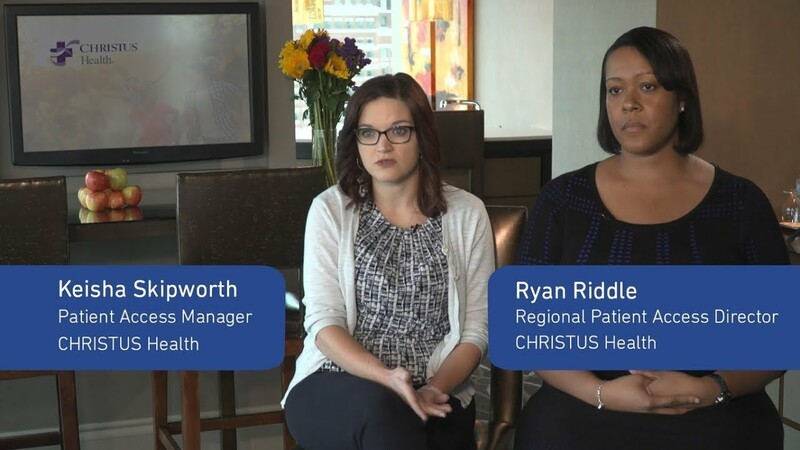 So CHRISTUS Health implemented technology that automates up to 80 percent of preregistration workflow for work assignments and insurance verification. This automation reduced manual intervention by identifying and presenting only the patients who need follow-up by staff in order to be cleared prior to arrival. The process now allows staffers to access and work with accounts instantly rather than wait to download spreadsheets of scheduled appointments. The automated workflow that CHRISTUS Health implemented also automated the process of tracking orders by connecting them with clinics, labs, and other ancillary facilities. Now the organization can track medications that have been prescribed by others, what tests have already been ordered, and what results have been received. Through automation, CHRISTUS Health has been able to run medical necessity, check orders for insurance eligibility, review prior authorizations, and dramatically reduce phone calls to doctors and hospitals to verify information. Not only has this streamlined the process, but it has also eliminated many errors along the way. As healthcare organizations continue to expand, it’s important to always look to the bottom line to ensure everything is running as efficiently as possible. Systems for scheduling, staffing, discharge, and transfer can be automated, which helps keep costs down and maximize staff time. CHRISTUS Health was able to increase its productivity by 60 percent with the moves the organization made toward automation. When CHRISTUS closed accounts manually, staffers processed around 40 accounts per day. With automation, that number jumped to an average of 120 accounts. Errors have been eliminated, and the three or more hours staffers used to spend downloading and emailing spreadsheets have been reallocated to more important work. All of this has been a huge benefit for the CHRISTUS team. Eliminating waste in healthcare organizations is a benefit to everyone: patients, providers, and organizations. Cutting down time spent on things that could be automated and increasing accuracy is a goal any healthcare organization can get behind.